Rumson Country Club is one NJ’s premiere golf clubs. 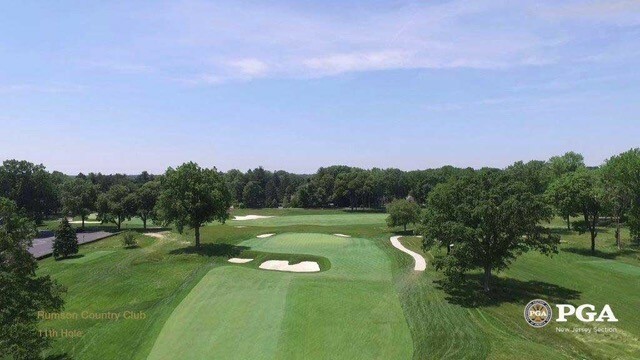 Set on the scenic banks of the Shrewsbury River in central New Jersey, this club offers an 18 hole golf course as the setting for our golf outing. Rumson Country Club is located at 163 Rumson Road, Rumson, New Jersey. $375 per golfer. All golfers receive a gift bag, golf shirt, lunch, on-course beverages, cocktail reception and dinner. $100 for cocktails and dinner only. What golf outing would be completed without contests? We kindly ask that you do not call Rumson Country Club with any questions. Mark Cartier will be able to answer any and all of your concerns. You can reach Mark at (732)241-8794 or markcartier@nolimitscafe.org. If you are not able to attend, please consider helping us get closer to our opening goal by donating. Either click the donate button or send a check in any amount payable to No Limits Cafe to 418 Route 35, Red Bank, New Jersey 07701. Your kindness is greatly appreciated. All golfers receive a gift bag, golf shirt, lunch, on-course beverages, cocktail reception and dinner. Cocktails and Dinner Only at 5:30pm. Includes event signage, recognition on the No Limits Cafe website and acknowledgement in the event program. 8 Golfers receive a gift bag, golf shirt, lunch on-course beverages, cocktail reception, and dinner. Only 1 Title Sponsorship is available. Includes event signage, recognition on the No Limits Cafe website and acknowledgement in the event program. 4 Golfers receive a gift bag, golf shirt, lunch, on-course beverages, cocktail reception and dinner. Includes event signage, recognition on the No Limits Cafe website and acknowledgement in the event program. 2 Golfers receive a gift bag, golf shirt, lunch, on-course beverages, cocktail reception and dinner. Includes event signage, recognition on the No Limits Cafe website and acknowledgement in the event program. Includes event signage, recognition on the No Limits Cafe website and acknowledgement in the event program. Your Name/Logo on all gift bags. Only 1 Gift Bag Sponsorship is available. Includes event signage, recognition on the No Limits Cafe website and acknowledgement in the event program. Your Name/Logo on all golf carts. Only 1 Golf Cart Sponsorship is available. Includes event signage, recognition on the No Limits Cafe website and acknowledgement in the event program. Your Name/Logo on Driving Range. 2 Driving Range Sponsorship are available. Includes event signage, recognition on the No Limits Cafe website and acknowledgement in the event program. 2 On-Course Beverage Sponsorship are available. Includes event signage, recognition on the No Limits Cafe website and acknowledgement in the event program. 2 Cocktail Reception Sponsorship are available. Includes event signage on course, recognition on the No Limits Cafe website and acknowledgement in the event program.